The immigration policy of US President, Donald Trump, gave a new blow to the country. 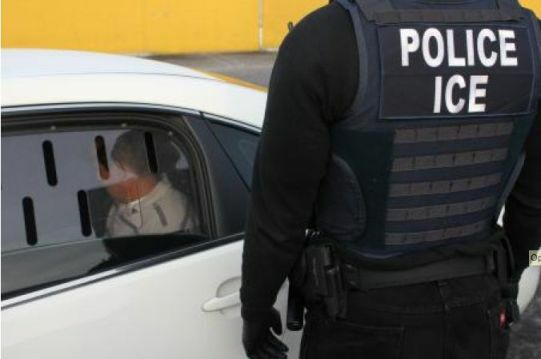 More than 150 people were arrested in Southern California by the Department of Immigration and Customs Enforcement (ICE), after five days of operations that, according to federal agents, were aimed at corralling criminals. The controls “were focused on immigrants with criminal records and deportation orders”, according to ICE. The arrests were announced days after an Arizona woman was arrested and deported to Mexico during what she thought was a routine appointment with immigration authorities. “This was not normal”, said Angelica Salas, executive director of the Coalition for Humane Immigrant Rights of Los Angeles (CHIRLA). Salas referred to a particular case which occurred in the suburbs of the city of Los Angeles to express that these operations represent the change in the implementation of the immigration law that Trump promised during the two years that lasted his presidential campaign. He said that federal agents arrived at a house in search of a person and ended up arresting another who was in the country illegally but who had no criminal record, “something that probably would not have happened before”. The operation caused great confusion. “They were looking for someone else and took my dad in the process”, said Marlene, daughter of Manuel Mosqueda, a 50 years house painter, who was in his home when he was stopped by police. However, the director for ICE operations in Los Angeles, David Marin, said those arrested had criminal records, adding that “these operations take weeks and sometimes months of planning, so what happened was planned before the government issued current executive orders”. And he stressed that also had similar procedures in Atlanta, New York and Chicago. In fact, during the government of Barack Obama officials also they conducted unexpected arrests. But, unlike what happened on Friday under the administration of Trump, so far the operatives focused more on people who sought. Some lawmakers decried the arrests and encouraged immigrants to know their rights and learn what to do if federal authorities are close. One of them was the Democrat by Texas, Joaquin Castro, through his Twitter account, issued a statement in which he requested the ICE clarify if really the arrested are “dangerous or represent a violent threat towards our communities” or if they are “good families that contribute to the country”. With uncertainty and fear of immigrants live these days because they fear the possibility of being deported, if these operations continue – even if they do not have criminal records. The situation worsened after the announcement of Trump that, after the failure of immigration decree veto, would announce new measures to strengthen the “security” of the country.